Matsue and New Orleans became Friendship Cities due to their shared connections with literary great Lafcadio Hearn. 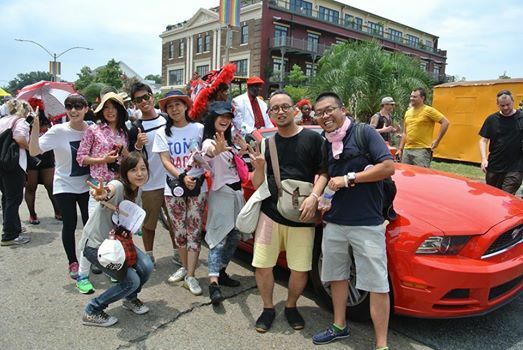 The participants of the TOMODACHI Matsue-New Orleans Exchange Program 2015 visited Matsue from October 3 to 15, 2015, where they were hosted by the Japanese participants of the 2014 delegation to New Orleans. The program provided an opportunity for the participants from New Orleans to directly experience Matsue’s customs and culture and to interact with the local community through home stays, receptions and parties, and a high school visit. The program kicked off in Matsue with a lecture from Lafcadio Hearn’s great-grandson and an afternoon of fun at Matsue’s Little Mardi Gras, an event attended by the general public which is focused on spreading the culture of New Orleans to Matsue and to Japan at large. The participants are now equipped with knowledge, material, and resources to educate their students, friends and families, and audiences about Matsue. From August 2-10, 2014, eight participants from Matsue, Shimane prefecture will visit the sister-city of New Orleans, Louisiana. The theme of the exchange is to learn the history of jazz and the American South at the birthplace of jazz. Lafcadio Hearn, a writer in the late 19th century, was well-known for his writings about Japan and New Orleans and is the primary reason New Orleans and Matsue are sister cities. During the program, the participants will visit the writer’s former residence and his archives stored at Tulane University in addition to participating in other cultural activities in New Orleans. 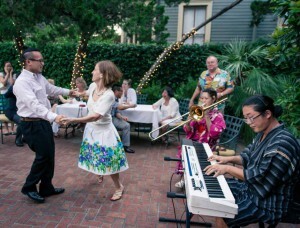 The group is led by the Executive Director of the Matsue New Orleans Club and several events were planned for participation by the public.